My husband Matt has told me all along, that turkey and dressing is his favorite meal of all-time and wished we ate Thankgiving dinner more than just once a year. I finally “granted” his request, and made a small-scale version of this celebrated meal, and he LOVED it! Matt even told me that this was the BEST meal I’ve ever cooked while we’ve been married! Our favorite part from this “Thanksgiving dinner” was the dressing, also known as Corn Bread Stuffing, a recipe that my mom has used nearly every year since 1976. The stuffing was simple to make, moist, flavorful, delicious, and by-far, the highlight of the evening. In addition, absolutely no butter is used in this recipe. The “no butter” part is actually a funny story (Paula, if you are reading this, you’re going to laugh)…. My mother-law, Paula, is a country cook….she doesn’t follow recipes, she has them memorized and will change up a recipe every time she makes it depending on what she has in the kitchen, or what mood she’s in. I was over at Paula’s for Thanksgiving two years ago, helping her make stuffing/dressing (whatever you want to call it). Instead of sautéing the onions and celery in water, like my recipe calls for, Paula stuck in a whole stick of butter! I remember saying, “What are you doing?? ?” Then, to my amazement, she threw in another whole stick of butter!!! Now I was really shocked!! Paula just laughed and said something about that’s how a country cook makes stuffing, and you can never have too much butter. Honestly, I can’t remember exactly what she said because I was too fixed on the fact that she added 2 sticks of butter to sauté an onion and celery in! Needless to say, my stuffing was good. For the turkey, I had Matt buy some turkey breast from Spring Creek BBQ (which was a little weird because the turkey was smoked. I’m used to roasted turkey on the real day, but it was good none-the-less). 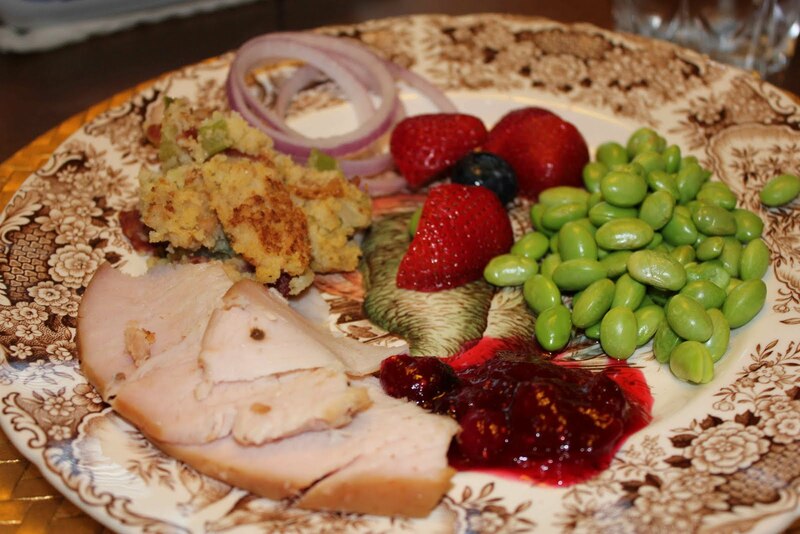 We had fruit, corn on the cob for Matt, and shelled edamame for me as a side. 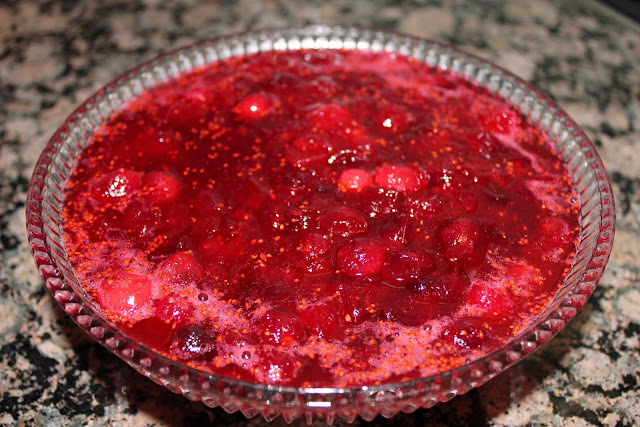 I also made homemade cranberry sauce (recipe below). You can find the recipe on nearly every frozen package of cranberries, so that is what I used. It was a little tart, when you compare it to jam, but still very good. Some recipes call for a little orange juice or zest, which I think would pair wonderfully with cranberries; I’ll have to try that next time! All in all, our Thanksgiving dinner in August was a hit! Paula, especially, got extremely excited and started craving turkey and dressing herself. She then told all of her friends about it, and they had the craving too! Maybe now that its cooler, you too, can make turkey and dressing. Just call it “Thanksgiving in September.” Plus, it will give you good practice for the big day come November 24th. 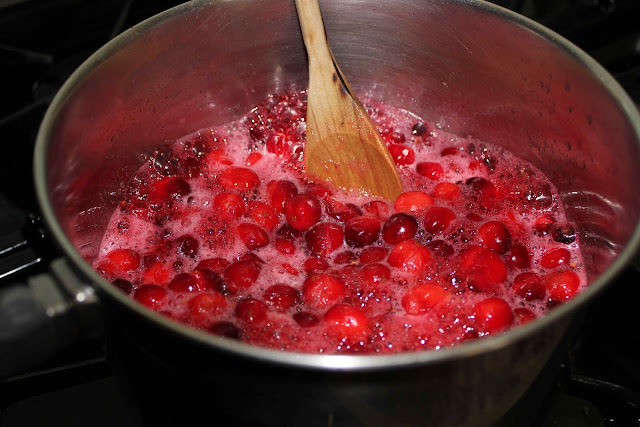 Add the fresh or frozen cranberries. Return to a boil and cook until their skins pop. Remove from heat, cool to room temperature, and then refrigerate until ready to serve. 1. 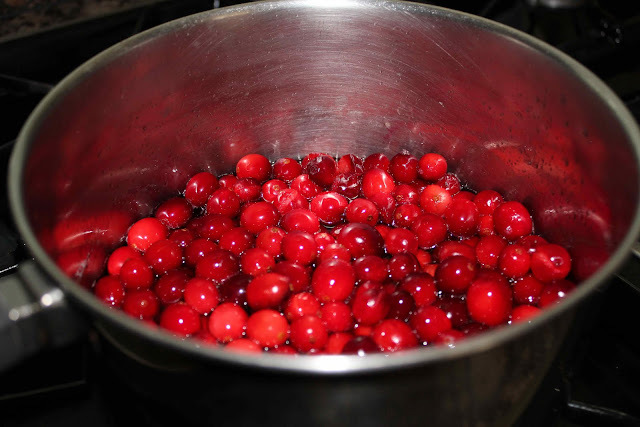 Rinse cranberries thoroughly. 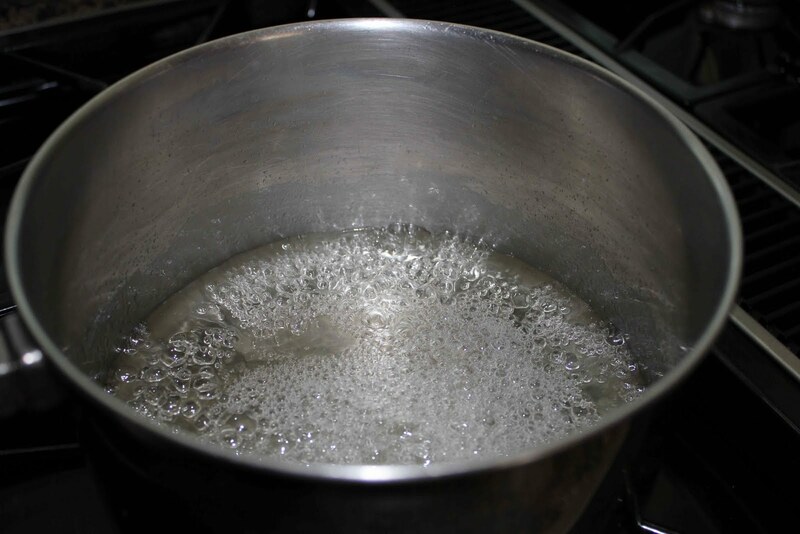 In a medium saucepan bring sugar and water to a boil. 2. Add cranberries, return to boiling and stir occassionally until thier skins pop. 3. Remove from heat, cool to room temperatue, and refrigerate until ready to serve. Recipe on the back of nearly cranberry packages.